This Friday released the romantic comedy movie Katti Batti has taken a decent start on box office. It features Kangana Ranaut & Imran Khan in lead roles, the presence of Kangana is the main reason behind good hype of it among audience. The movie is not doing as per the earlier expectations, received mixed reviews from critics as well as audience across the country. But still it is collection reputed figures at box office because of support of Kangana’s fans. Katti Batti is directed by Nikhil Advani and produced by Siddharth Roy Kapur under the banner UTV Motion Pictures. Nikhil Advani is also the co-producer of the movie with his banner Emmay Entertainment. As per critics, Kangana has performed brilliantly as always and Imran has also played his character very well. But the old story in a new wrapper doesn’t fulfill the expectations of audience. On its first day, Katti Batti was recorded the overall occupancy of 40% on Indian screens and done the business of 5.28 crores. On the next day i.e. on Saturday, being weekend the movie was expected to take good growth in its business but it witnessed a slight rise. It has minted the amount of 5.48 crores as its second day collection and made it 2 days total collection to 10.76 crores. 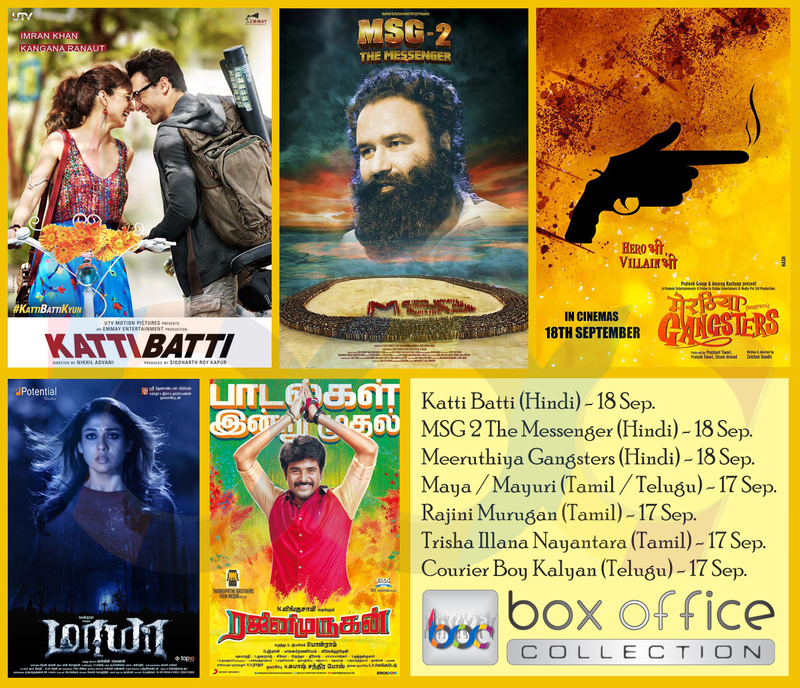 Now Sunday is there, let see how much amount the day will add in Katti Batti’s account.